Clare Pitts-Tucker is a Consultant at Eunomia Research & Consulting. She joined the company’s Bristol office in 2011, and works on a wide range of projects related to the sustainable management of waste and resources, waste planning and policy, and waste contract reviews. Clare undertakes both management and delivery roles on a range of projects, and is responsible for generating high quality research and reports for clients in both the private and public sectors. More recently Clare’s research has focused on the marine environment, particularly in relation to marine planning and the issue of marine litter. 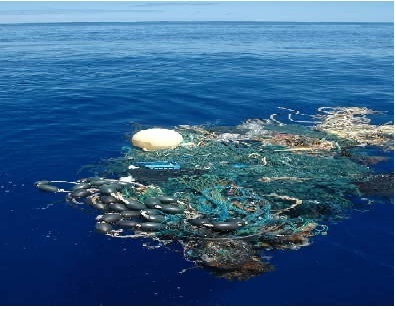 Tagged Cruise Ships, Ecosystems, Fishing Vessel, Food Wastes, garbage, Legislation, Litter, Management of Shipping Wastes, Marine Litter, MARPOL, Ocean, Pollution, Port, Seas, Ship Wastes, Shipping, Shipping Litter, Shipping Wastes, Ships, Vessels, Waste Management, Wastes. Bookmark the permalink. 3. Act via markets, making the products that become waste in oceans, land or air more expensive. Chasing the shipping waste would seem to lead to likely a lot of regulation, and except in a few isolated areas (North Sea) largely have minimal impact at best. If we are going to try and tackle this, we should be pursuing what will give us the greatest impact. If you consider legislation on shipping, there are bound to be costs involved, both direct and indirect. First, given the international nature of this, difficulty in having it uniformly implemented. Second, there are bound to be some level of incremental costs to shipping, Finally, how do you document (demonstrate success)? So, if we were able to get this tackled, what do we have, measurable impact in the North Sea only (or a few other isolated areas)? It needs to be pointed out, that this would quickly be hoisted on the flagpole of near useless environmental regulation. Quite honestly, the environmental movement needs to pick its battles, for those that are effective, and will demonstrate clear results. Would this proposed legislation deliver that? So 20% overall, why would we not pursue the largest source (land-based). I believe we there would be likely greater impact on an educational, grass-roots basis to change behavior to decrease land-based pollution, while also helping individuals recognize that their individual efforts are meaningful. i didn’t see anything in the article that talked about the impact of marine trash on aquatic life or ocean ecosystems. The fact that it accumulates in the ocean indicates that it fairly inert. What impact have all of the laws and ensuing regulations had on the magnitude of the problem? It could be that the problem is much smaller that it would be without existing regulatory structure. It is unreasonable to expect zero marine debris. And the regulatory structure necessary to achieve that goal would be unacceptable because of the limits on individual freedom it would pose.